On April 6th, we will welcome Arvelle Adamson, outreach specialist with Starlight Ministries to speak on the topic "And Who is My Neighbor?" 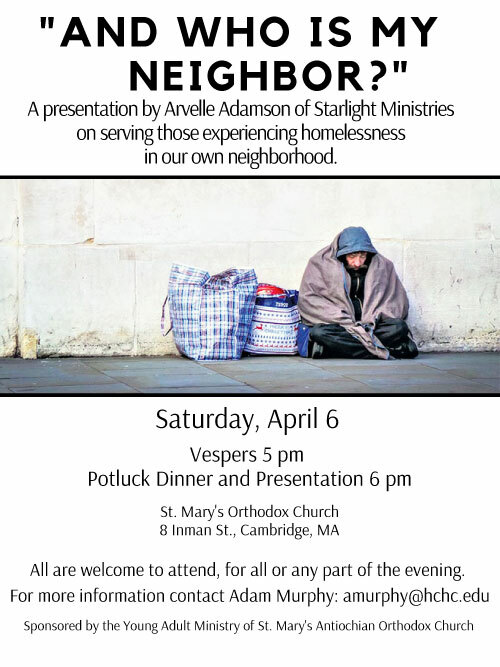 Arvelle will provide us with insights from his ministry in working with the homeless and working poor of the Greater Boston Area, and provide us with actionable ways with how we may better serve our neighbors. To learn more, visit the Facebook Event.